The youth leader at our church is getting married and I get to help with his shower so I thought it would be fun to have a "His and Hers" wedding shower so that the couple could enjoy the event together. Here are the invites I created as samples for a couples wedding shower. 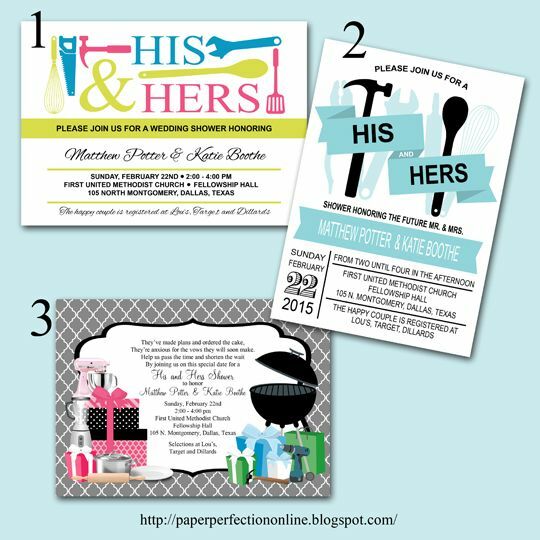 If you would like one of these invites, matching party printables or custom items for your next event contact Paper Perfection at jtanddolly@yahoo.com for pricing and details.